I want to share with you a story about a kid who grew up to be one of his idols. Not long ago, there was a child, a baby boy, who grew up in a traditional Moroccan house in the old medina of Marrakech. He was so energetic that where ever he went he caused a mess. One night his grandmother told him “I want to tell you a story.” She began with the words “Hajitek Majitek,” which mean “Once upon a time” in Moroccan Arabic. The boy started listening, but eventually he fell asleep in the middle of the story. When he woke up the next day, he asked his grandmother for the rest of the story, but she replied that she would continue the story that evening. From that moment on, every evening, with her stories, his grandmother changed and built something within the boy that he would soon discover. At the age of 9, he went by himself to Jamaa EL Fna, the famous square in Marrakech. There he found storytellers and other performers, and sat in one of the storytellers’ circles. He was amazed by the performance that was so different from his grandmother’s. He was exposed to two different kinds of stories, their morals, and their performers, which both contributed in developing his love for Moroccan storytelling at such young age. Every weekend and evenings after school, you would find him in one of these circles listening to the stories and learning about his Moroccan culture. Ten years passed, and he came back to his favorite spot in the square. But he found no storyteller to listen to. He was disappointed, but this was not the end. This child grew up to be a young man who started to look for ways to learn and discover stories, and to share them with Moroccans and non-Moroccans. Learning and working with older storytellers had a special impact on him and he became close with those he looked up to when he was young. 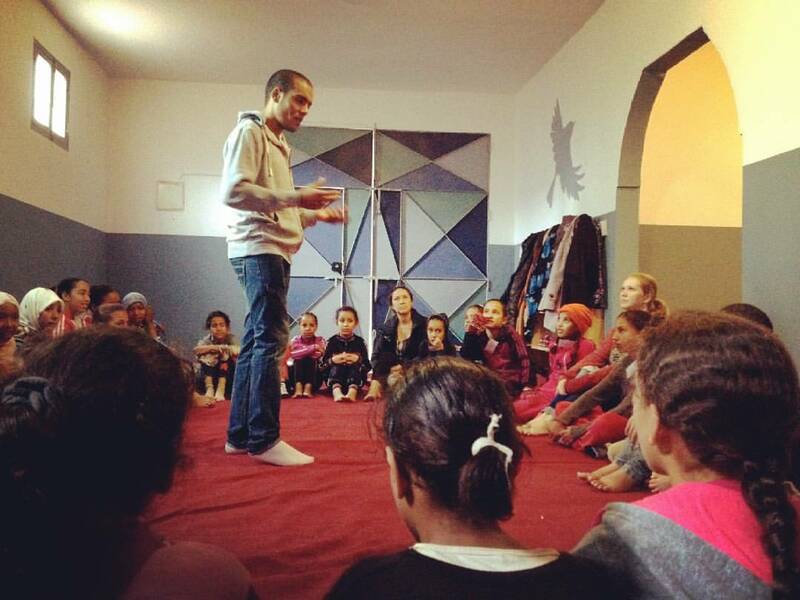 Now he does workshops and storytelling performances where he shares his Moroccan culture as an art, as it should be. This child is me: Mehdi EL Ghaly. The journey hasn’t been easy, but it was full of art and lessons that have built me into the storyteller that I am today. There are still a lot of things to learn and share with people. We have gotten carried away with all that the world has to offer, and that has pulled us away from the source of our identity: our culture. I want just to tell you this: Our culture is us, and we are our culture. We need to care about it more than we do. Mehdi EL Ghaly is a Moroccan storyteller, a student of English Studies and Linguistics at Cadi Ayyad University in Marrakech, and is passionate about his Moroccan culture. I was lucky enough to meet Mehdi and see him perform, along with master storyteller Hajj Ahmed Ezzarghani and the other apprentice storytellers, in the fall of 2014 in Marrakech while working on The Storyteller. 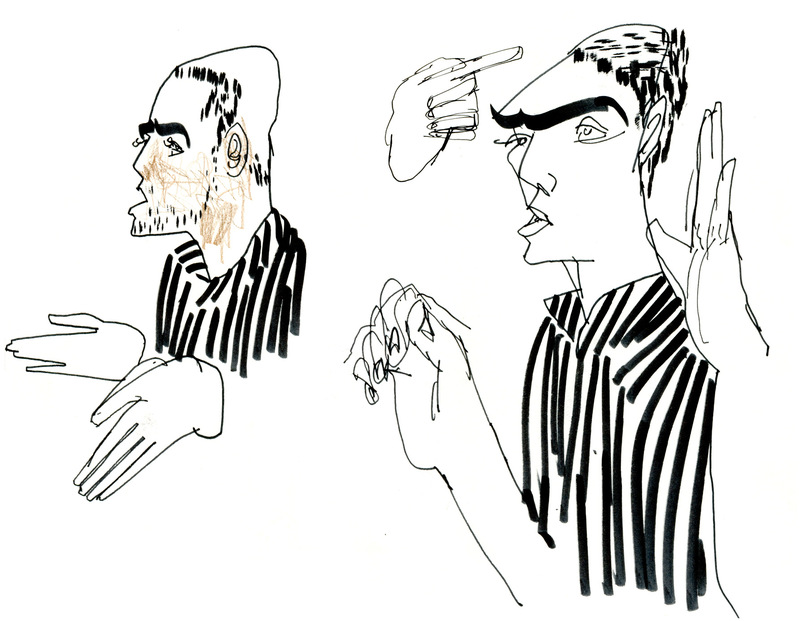 The drawings of Mehdi here are from this performance.